Abandoned carts continue to be one of the biggest plagues facing online retailers, and with a colossal 69.23% of shoppers abandoning their carts and failing to complete the purchase, that’s a serious amount of lost revenue. So why do so many people abandon their carts? The answer, in short, is that most people who don’t complete their purchase abandon because of the final cost of their order once it’s totalled up. 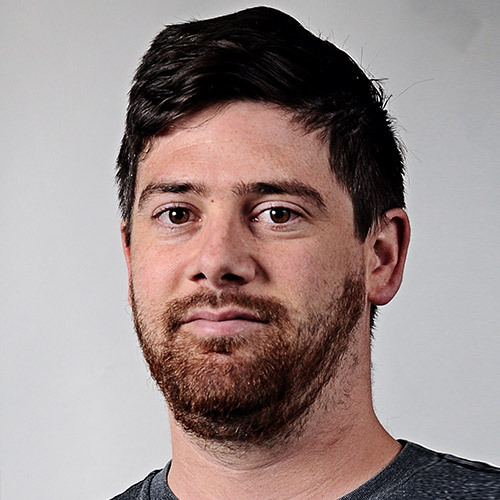 A kicker for many users are the shipping fees required to get the products. Depending on where you live and the type of products you are ordering, shipping fees can add the extra cost percentage to an order that deters users from the final sale. Companies try to counter the negative cost of shipping with various techniques such as offering free shipping on orders above a certain amount, which encourages the user to spend a little more on products in order to take advantage of the offer. Ultimately most companies lose money from shipping - in 2016 Amazon was reported to have lost $7.2 billion because of shipping. This was the difference between what they charged their users and their actual costs. The next roadblock to a user not completing a sale is a more tractable one that every website owner has the ability to remedy. Bad user experience can break a user’s flow when going through the checkout process. If they are already on the fence about completing the sale, a slow loading page or confusing layout could be enough to make them hit the back button and never return to the site. User experience, or UX, is something that many smaller businesses tend to overlook or misunderstand. It’s critical to understand that UX doesn’t end with the checkout screen on desktop, but on mobile devices too. Getting a professional site UX review doesn’t need to be a costly endeavour; many agencies will provide a comprehensive report that outlines the key issues in the workflow of your site, which then leaves you with knowledge of where the hangups are and what needs to be fixed. A little investment here can go a long way to elevating your bottom line. Most people would lean toward the green, right? Then let’s think about the choice of wording. Remember to be descriptive; let the user know exactly what will happen when they click that button. Something as simple as this can have a significant impact on the percentage of people who make that all important click. Another simple yet crucial step is to review the content throughout your checkout funnel and ascertain whether it provides confidence to the end user that their personal information will be secure. Display valid security certificates or badges to show that your site uses all of the latest security technologies provided by your payment processing service, and create assurance by showing recognizable payment options such as Mastercard, Visa and Paypal. But be subtle in your presentation. If you go overboard you risk causing some users to question the integrity of your website, and how genuine the security claims might be. Finally make sure that there are no broken links or images; if it looks as though the website was badly built or improperly maintained it will be a serious cause for concern in the users mind. Okay, so you’ve reviewed your checkout flow for any glaring user experience issues and all looks good. What else can be done to help curb the drop off of users in your funnel? If a user doesn’t complete the checkout process most shopping carts will save products that have been added to the cart for an indefinite period of time. We can capitalize on this by using 3rd party abandoned cart solutions such as Cartstack or Mailchimp’s abandoned cart feature. They work by sending automatic reminder emails to the user, letting them know they still have items in the cart ready for checkout. Most abandoned cart services will allow you to run multiple versions of your reminder emails, control how many emails are sent, and adjust the timing that the emails go out after the cart was abandoned. This makes it possible to split test variations or different combinations of these things, including the content of the reminder email - all you need to do is report, document and revise until you find a winning combination. It has been reported that up to 50% of abandoned carts can be recovered using these methods, so regardless of your average cart value or typical revenue, abandoned cart emails can have a significant impact on the amount of orders placed. Your efforts to combat abandonment don’t need to end with reminder emails. Research has shown that 8% of users don’t complete a purchase because they can’t find a coupon code. Using an additional service such as Optinmonster will allow you to easily provide your users with a code which appears in a pop-up when they perform a pre-determined action, such as scrolling to the back button in the browser, or the close button in the top right of the screen. If your business typically doesn’t provide discount or promo codes and there is a box in your checkout flow for them, it would be best practice to remove the input box entirely. If a user sees an option to enter a code and they don’t have one, it can make them feel that they are getting a bad deal by paying full price, which in turn might encourage them to leave and shop around. One of the final pieces to the cart abandonment puzzle can be found by looking at the amount of hoops a user is expected to jump through in order to complete their purchase. The same report that shows coupon code boxes to be a potential issue also reveals that 22% of users will abandon a cart because the site they are using requires them to create an account in order to buy. Unless the website is a recognizable brand name such as Amazon, new users are unlikely to fully trust the service and what they will do with their personal information that will be collected when creating an account. Creating an account can also make users feel that they are commiting to the company, and that they will probably start receiving more unwanted advertising emails in their inbox. The solution here is to introduce a guest checkout to the mix. If a user is able to check out while only filling in the basic information needed, they are much more likely to continue with their purchase. Of course the downside to a guest checkout is that email addresses captured through them cannot be used for marketing purposes, however this is a small price to pay for the increased conversions. At the end of their experience a happy customer will likely return and will be more willing to create an account with the site. Having both a guest checkout and an account based checkout will provide the user with options that will nurture them into your sales funnel and if done right, will eventually contribute to them becoming a long-term repeat shopper. Cart abandonment is a difficult problem to solve, even for the most experienced e-commerce pros. 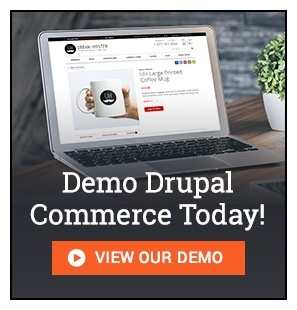 But there are solutions out there -- and we think Drupal Commerce is the best one. to learn how this versatile platform can improve your online business. If you’re ready to talk to our team of Drupal experts, now.